Free Classes for Intermediate Students! Find out what classes at the Academy are all about! 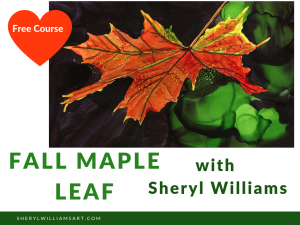 Once you have taken this class you will know what it is like to take a class from Sheryl Williams Art, the Academy of Alcohol Ink and you can decide if you’d like to take full Level courses or single classes. How to Get the Intermediate Free Class from Sheryl Williams on Vimeo.